Trip Leader Orientation is Finished, and Big Orientation is Starting! 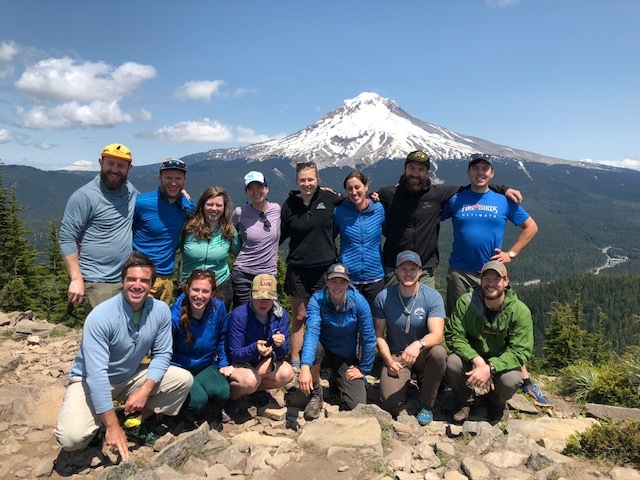 Every year, Adventure Treks kicks off the summer with our five-day trip leader retreat in Oregon, where our leadership team gathers in a cabin near Mt. Hood for senior staff training. Our 12 trip leaders, two logistics directors, and four regional directors hail from 12 states, average 28.8 years old, and have a collective 143 years of Adventure Treks experience, with an average of 7.8 seasons of AT experience each. (Five trip leaders are former Adventure Treks students!) I’m proud to be a part of this group of mentors who will train our new instructors and oversee the success of our trips. As an Adventure Treks parent myself, I’m also thrilled to have these role models interacting with and inspiring my own kids. So what do we do at trip leader retreat? Besides strengthening our leadership team community, we apply leadership theory, current child psychology, and child brain theory to Adventure Treks’ philosophy. We learn and relearn the specific details of each trip itinerary, and we review safety and the policies and procedures that lead to successful trips. With such a tremendous brain trust, we share our tips and experiences with each other, and our more experienced trip leaders mentor our newer trip leaders so we can provide consistent experiences across the board. Together, we share the tips and tricks we’ve gleaned as we work hard to make every trip exceptional. Staff orientation begins this weekend! Our 65+ instructors converge from 28 states for two weeks of training as we prepare for the arrival of our students. I wanted to share what we have been reading this winter. It’s our job to stay on top of the latest youth development trends and literature so we can make sure that Adventure Treks remains relevant to parents. Besides being a ridiculous amount of fun, we want Adventure Treks to be a tool that helps kids develop the skills, mindset, optimism, confidence, character, and resilience that will help them become happier and more capable adults. Topics from these and other books will be featured in our instructor orientation sessions as we facilitate the best possible learning and growing experience for your child. Below are our 2018 suggestions for those who share our obsession in helping teenagers experience personal growth.